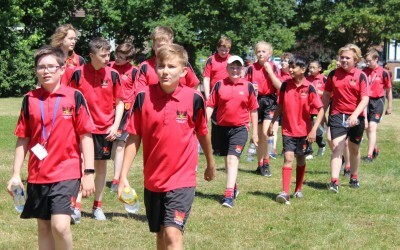 Well done to all students in Years 7 and 8 who took part in the Sponsored Walk on Friday afternoon. 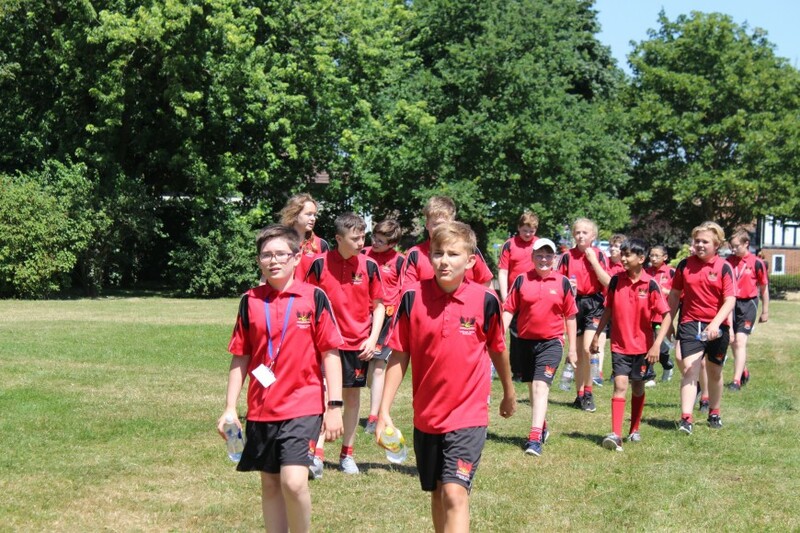 Due to the heat the elite race was cancelled, however, it was a really successful afternoon with all students trying their best and walking as many laps of Cheam Park as they could manage. We hope that all the students enjoyed taking part in this walk and we are grateful to all students for raising money, which will, hopefully, be going towards installing a climbing wall to improve our PE and extra-curricular provision and offer students exciting new sporting and learning opportunities whilst at the school. Students now need to collect and hand in their sponsor money, which should be handed in to the school office by Monday 9th July. Alternatively, you may make payment via Tucasi Online Payments by selecting “Trips & Events” in the quick links, and then “Sponsored Walk 2018”. If you are not yet registered for Tucasi please contact the school office for details. We will be holding a prize draw in assembly for students who have raised over £5, £25 and £50. Thank you to all parents/carers and friends for donating generously to this event. We will publish the total amount of money raised by this walk in a future Flyer and we look forward to keeping you posted on how the money is used to improve the school for the students.